The Harbor family invites you to Avery's Harbor Fest 2018! The Harbor Bar & Grill in Metairie, invites you to a weekend full of great food & drink, live music, & much more. 100% of proceeds benefit the St. Michael Special School of New Orleans. What: Live music all weekend, tons of food & drink, silent auction, 50/50 raffle, Harbor burger eating contest & much more. Why: Harbor Fest is named after Jason & Christy Saucier's daughter Avery, who passed away years ago. 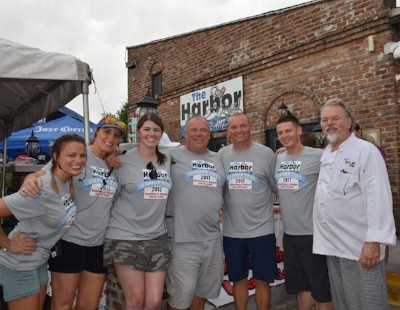 Harbor Fest is held annually around Avery's birthday, as a fundraiser for the St. Michael Special School, which is near and dear to the hearts of the Saucier and Harbor Bar & Grill family. BECOME A SPONSOR: You'll be exposed to hundreds of people at the event, and thousands via our social media. Interested in becoming a sponsor, donating raffle items, or more? Yes, we're going to give away awesome prizes to whomever can eat the most Harbor Burgers.